The Battlefront 2 alpha test has started, and it will run from June 29th until July 3rd. Players who received an invite will be able to play a limited amount of the game which is slated to be released on November 17th. Players will be able to try out the Theed map where they can battle other players in this 40 player Galactic Assault mode. 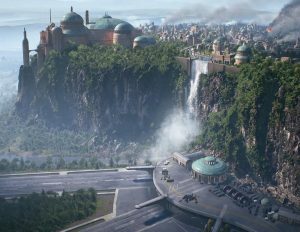 Theed, which is the capital city of Naboo, was a peaceful planet with lush green vegetation and grass plains. EA showed off this new map during the 2017 E3, but now players have a chance to dive in themselves. People began receiving their Battlefront 2 alpha invites last night where they could start pre-loading the game. Luckily, I was able to receive one of those invites, and I am definitely looking forward to playing tonight. Again, the game is set to be released on November 17th with early access players able to begin playing on the 9th. Well, I am off to try the new Battlefront 2 game, and I really hope that it doesn’t disappoint. If you’ve played it already, what did you think? 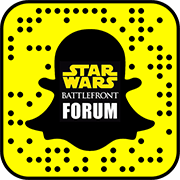 Drop us a comment, or leave us a message in the Battlefront forums. You are invited to join the Star Wars™ Battlefront™ II Closed Alpha. To help us create the best game possible at launch, we’d love for you to participate in this technical test. As the game is still under development, you may encounter some technical issues. Help us address those issues with your valuable feedback. You will have the chance to charge through the streets of Theed, in a massive 40-player Galactic Assault of droids versus clones, to seize – or save – the Theed Royal Palace. The Alpha will be available to play* starting 29th June at 8am UTC (1am PDT). To help save you time, you can already pre-load the game by following the instructions below. The Closed Alpha materials are confidential information. Sharing or posting any information, screenshots, or videos on public forums or social channels is prohibited, as noted in the Alpha Agreement, the acceptance of which is required to participate in this test. The Alpha Agreement is found during installation of the Star Wars Battlefront II Closed Alpha. The Star Wars Battlefront II Closed Alpha is playable in English only, and gives you a small taste of what the full game will include upon release. Further languages will be available in the final product. Please find your code below, which can be redeemed in Origin. This code is specific to your account, and cannot be shared.